Enjoy old school gaming, but with a twist. 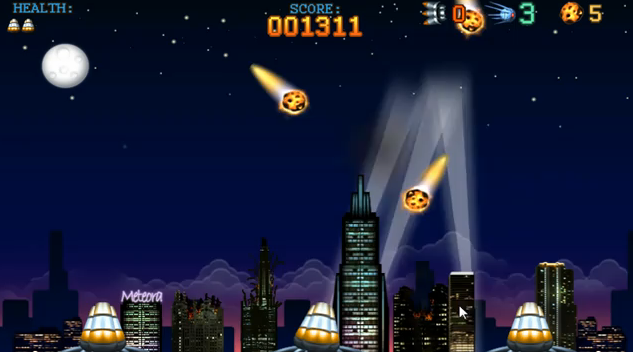 Meteor Mania (Zune Store) might be the app for you offering gameplay that reminds us of the classic Missile Command. There is a free trial mode and supports using your own music library while defending earth. If you have questions for the developer, hit him up in our forums. Not a member? Register today! Looks cool. Pity I don’t have a W7 phone.